Hello, I just wanted to say that your Rockcliffe series has brought me such joy. They are pure pleasure from start to finish, and the choice of Alex Wyndham as narrator makes them even better. And yes I have left reviews on Audible but I want to make sure you hear me: THANK YOU and…. MORE PLEASE! Thank you for writing real romances, that are charming and witty and delightful. I love the descriptions of the homes, and the proposal scenes, and how hard those handsome men fall for their ladies. And I am completely in love with Alex Wyndham….well, his voice anyway! Thank you so much, Donna. I am delighted that you have enjoyed spending time with Rock & Co – and pleased to be able to tell you that the first book of the Brandon Brothers Trilogy is beginning to take shape and should hopefully be out later this year. As for Alex – naturally, I entirely agree with you. He not only has a remarkable talent but is also a pleasure to work with. And thank you for reviewing the audios. It means a lot to both of us. How lovely to have that to look forward to. You two are a perfect pairing and deserve much success. I recommend these books to everyone I know. Each book you write, I think, “ah, this is my favorite hero” and then the next one comes along and then he becomes my new favorite. Julian though really touched a place in my heart, because I have a son who is also incredibly artistic and passionate and intense about his art. And with that comes a bit of awkwardness and social uncertainty. Where you describe how Julian transforms from shy and awkward to confident and in control while he plays is exactly what happens to my son when he is creating. I even talked to my son about a book I was reading….and he said, wow, that is exactly like me! It was quite touching. When you have a difficult writing day, I hope you’ll remember how you made a brilliant but unconfident sixteen year old boy in Texas feel that much better about himself, and that what you are doing matters. Julian is particularly dear to me as well, Donna. It was lovely to write a hero who isn’t the typical alpha male but isn’t without strength and, at bottom, is an absolute sweetheart. If something about him struck a helpful chord with your son, that’s wonderful. Jean Rondeau – the French virtuoso whose playing and choice of music was a large part of my research – has things other than talent in common with Julian. I’ve heard him play live and met him twice. He’s quite shy. He also has no interest in looking the part but walks on to the platform with his hair standing up on end and wearing whatever came to hand when he got dressed that morning. As you can imagine, having already set Julian’s characteristics, it was a weird experience coming face to face with a 21st century equivalent. The below entry isn’t from the blog I have under my name, but it is a review I wrote of A Splendid Defiance which I loved. I’m posting the link here for you to read. I also read the Marigold Chain and loved it too, but haven’t posted a review anywhere yet. I still wish the Roundheads And Cavaliers books would be in audio even though I know that isn’t going to happen probably. I first read books on audio since Braille can be expensive/inconvenient, and while I have gotten comfortable with e-books and am so glad they exist, the first format is still my favorite. Thank you for reviewing A Splendid Defiance, Stefanie – and I’m so glad you enjoyed Marigold as well. You may have seen in other comments/replies here that The Black Madonna is destined to become an audiobook in the not-too-distant future. I can’t, however, promise that the other 3 R&C books will follow it. Recently I came across what seem to be a rare copy of the book ‘Lucifer’s Champion’ (published 1988) in a second hand items shop. I enjoyed reading it but when I tried to locate information about other books you have written it was not listed under your name but rather under the name Juliet Blyth (a pseudonym?) Lucifer’s Champion (published in 1989). Both books have the same cover art on the dust jacket. When I went to clarify the dates/names confusion I discovered that the book by Juliet Blyth sells for a large amount of money on web sites like Abe books and Amazon. But no copies of Lucifer’s Champion that l can locate under the name Stella Riley. I’m curious to find out why. First off – three cheers for you for finding Lucifer at a reasonable price! As for those folk selling it for a silly one, I don’t imagine anyone is stupid enough to pay that kind of money. Before I put a stop to it by re-issuing my back-catalogue in e-format and print, most of my other books were being marketed at similar figures. Lucifer is the only title I’ve refused to re-issue – so it’s the only one this can still happen with. As to the copy you have under the name Juliet Blyth, I imagine it’s an American edition – of which I have no recollection whatsoever! The only copy of Lucifer in my possession is the 1988 edition published by Severn House under my own name. And to be honest, I wish it wasn’t. Your next question – since you were kind enough to say that you enjoyed it – will be why I refuse to re-issue it. Quite simply, it was the first thing I ever wrote and it was highly derivative. It was also hacked about in the editing process with the result that it falls far below the standard of my other work – some of which was originally published before Lucifer finally was. These days, I have a reputation to protect. But however much I try to ignore him, Lucifer still surfaces from time to time – along with that truly awful cover-art. As for my other books, since you’ve found me here you must also have tripped across those. I agree with your comment about the cover of ‘Lucifer’ I actually thought that the cover art was probably enough to put people off buying the book. It made me think twice . As I don’t know what your original manuscript was like I can’t see what the editor did to it but I did enjoy the story so I am going to buy more of your books. I have just finished the Marigold Chain. Alexander Deveril and Chloë remind me of Lymon and Philippa of Dorothy Dunnett’s Lymon Chronicles. It makes me believe that there is at least one book about Deveril before The Marigold Chain, and maybe two. Stories of how he became the person we find him to be in the Marigold Chain — who he was before the loss of his father ( his mother too) and his birthright, how he became the accomplished mercenary that he is and why he retains the capacity for compassion and honor that he does. I hope you have a prequel planned, or if you have already written it, please share the title. Thank you for interesting and complex characters. I am guessing that you quite liked Mr Deveril, Katherine … but, sad to say, there is no prequel and nor is there likely to be one. The reason for this is that his background is largely covered (retrospectively) in Marigold and he gets his HEA there as well which means that he is no longer a viable leading man. However, I have been asked many times for Giles Beckwith’s story … and at some point, I may write that. If so, Mr Deveril would undoubtedly be part of it. Meanwhile, even if you do not usually listen to audios, you might like to make an exception for Alex Wyndham’s performance of The Marigold Chain which – like all his performances – is exceptional. I would be happy to send you a free Audible download code for it. I am so hoping that on the web site or in the next book !?!? there might be a family tree or interconnections between the novels, as just a few other great authors do. I know it is a different time span and different feelings (except for the excellent prose in my opinion) but Mary Balogh does do this. As I said in the e-mail, Marina, I’ll take a look at this. But I suspect it may get a bit complicated since, while some characters are related by blood or marriage, some aren’t related to anybody at all! So very excited about your new release. Congratulations! I do hope it goes as well as you would like. Just wondering if you are printing a paperback version and if so, when will that be available? Yes, there will be a print edition – it’s being prepared now and should be available in early December. Hope you enjoy it! I have just finished re-reading all 5 Rockcliffe novels ready for the sixth one coming to my Kindle tomorrow. I’m really looking forward to it. I enjoyed the re-read as much as the first time round! That’s a great compliment, Jane – thank you! Just finished Cadenza and loved it! It was a very fitting finale to the Rockliffe story. Thank you, Jane – glad you enjoyed it. If you cared to spend a few minutes writing a brief review, that would be brilliant! Have done- with 5 well deserved stars! Looking forward to more books in the future. Thank you, Jane – much appreciated! The Black Madonna was first published by Headline in 1992 and owes nothing to any author other than myself. As for use of Christian names … they are not and can never be the personal property of an author. Thanks, Nell – so glad you enjoyed Cadenza. I had a lot of fun writing Julian – who is totally unlike any other hero I’ve ever written – as much through his relationship with the children as through the music. No set-in-stone decision yet on what I’ll do next but, having done the basic research on 1659-60 for a Toby novel, I was left with the depressing feeling I’d strayed back into 1648 with the same old Army v Parliament power-struggle. And the way to the Restoration leads right through it. As for Max Brandon … yes, he has potential. Deliberately so. I have always thought that you write relationships well: Gabriel-Jack, Eden-Francis, Luciano-Richard, etc, etc. And, yes, it was Julian’s relationship with the children that did if for me. I am less depressed about the road to the Restoration than you appear to be although depressed about the sad end for John Lambert but role of Fairfax and Monk interest me, particularly the restoration of those members excluded by Pride. Good luck – I really hope you do go ahead with it. Of course, like many (despite essentially being a parliamentarian), I have a soft spot for Charles II, one of several points on which I disagree with Mr Schama. Or as someone said (probably John Morrill), ‘more to be admired as a man than a monarch’. I’m throwing the possibility of R&C Five out completely, Nell. And I totally agree with you about both Monck and Lambert. I always liked Lambert and found the end of his story miserable; but Monck’s ability to keep everyone guessing strikes a lighter note. However … I’m also considering doing something with Max Brandon and so am taking time to weigh up my options. Any chance of a review of Cadenza? Julian’s developing relationship with the children became a primary focus for me whilst writing – so it’s great to hear you say it struck a chord with you. Yes, it was Julian’s relationship with the children that got me. I do hope the Toby novel proceeds but am less depressed by the restoration situation than you are apart from the sad end for John Lambert. Although the involvement of Fairfax and Monk and the return of the purged members has fascinated me. Despite being a parliamentarian at heart, like many others, I admit to having a soft spot for Charles II (so there, Mr Schama). Sad to hear no more R&C. I was looking forward to it as there are few novels written for that period that I can tolerate and I have been following yours for decades. I hope the younger Brandons work out for you and fortuitously you created three brothers. As you and most other regular readers have guessed, the Brandon brothers were introduced with an eye to the future. So yes … Max’s story is likely to come next. Max’s story will not be a Rockliffe book, Jane. It will hopefully be the first of the Brandon Brothers trilogy. But since I have established a Rockliffe connection, it isn’t a complete departure – all the existing characters are still there and might re-appear at any time. Only time will tell. I’m glad you liked Ralph, Kate – but he isn’t the leading man in Cadenza. Julian is. After his behaviour in Hazard, Ralph had to be redeemed but without turning him into a different person. And so, although he was redeemed, we have to accept that though a man’s character may change over time, it doesn’t do so in the space of a handful of weeks. As for Ralph’s imbecilic brothers … I doubt if even Shakespeare could write anything worth reading about them. I have left a rather garbled review at Amazon which might, or might not, get posted as I do not, if at all possible, buy ebooks or hard copy from them any more. In fact, it is only my commitment to your novels that has me buying from any of the sources you list but I appreciated that self-publishers do not have as much same scope as others. I have also included a rather barbed criticism of Amazon that might get it excluded anyway. If it doesn’t appear within a couple of days then I will try and re-post it excluding the element they might object to. I’ll keep an eye out for your review, Nell – rather hoping Amazon do post it and in its entirety. Obviously you’re by no means alone in your criticisms of Amazon. Unfortunately, although I don’t restrict myself purely to them, the bulk of my sales come from there. However, thanks for your support and loyalty – much appreciated. Yes, I do appreciate that Amazon really has to be a first resort for self-publishing authors. But does it not annoy you that when googling ‘Stella Riley’ the Amazon page comes up before yours. Even those authors who publish through conventional methods have to live with the fact that their publishers advertise selling their ebooks, through Amazon, Kobo, iTunes etc – whereas little-old Hive (the only tax-paying British ebook seller does not get a mention). I am seriously thinking of writing to JK and pointing this out to her. It’s a good point, Nell – and to be honest, I’ve never heard of Hive. I’ll have to go looking for them. Review is posted Don’t be offended by the 4* as generally my highest score for a modern book I really like is 3* because if I use 5* I have to ask myself what is left for Shakespeare and Milton. Not that they care about my reviews. Not at all offended, Nell. You liked Cadenza – which is all that really matters. Thanks for reviewing. I’ve just found this site having re-read for the umpteenth time ‘The Mesalliance’ on my Kindle while on holiday and followed by ‘The Player’ (on the train) and ‘The wicked cousin’. I’ve loved your books since I found ‘The Marigold Chain’ in the library and have collected them ever since (even Turkish one in another name!). I was kind of sad when I read the Kindle version of TMC as you changed it a bit – a couple of my favourite bits have gone so I go back and read the battered paperback again as well. I too would like to know what happened to Giles. In fact, when i can’t sleep, I start doing a sequel for myself!! It often helps! Looking forward to your new books when they come out. BTW I quite like ‘Lucifer’s champion’ although I suppose there are similarities with ‘These old shades’. Thank you for your kind comments, Jane – it’s always good to hear from people who enjoy re-reading my books. As you’ve probably seen, Cadenza (Rockliffe #6) will be released on Nov 22nd and soon after that Alex and I will be working on the audio. Even if you’re not into audio, I recommend popping over to Audible and listening to the free samples. Alex Wyndham is extraordinarily talented and really does bring a new dimension to mu work. My wife read about your books in the Times and thought she would like some for her birthday. Despite my best efforts with booksellers your books only appear to be available on Amazon, an organisation I detest for its trickery on the website to make you sign up for things you don’t want. Where can I order and buy your books please? Unfortunately, if you want print editions, Amazon is your only option. Ebooks can be purchased from other suppliers such as Kobo but my paperbacks are produced through Amazon – with whom it would seem you have had an unfortunate experience at some time. You can try e-bay or look on-line for used copies. No help to the poor author, of course and quite often a rip-off (price-wise) to the customer. Sorry I can’t be more help, David. Fear not, Magnus – Rock & Co will be back soon in Cadenza. I’m hoping to put it on pre-order some time next month. So glad you’ve enjoyed spending time with my guys and gals. I’ve just read that you are working on the final “Rockcliffe” book. Something to look forward to. 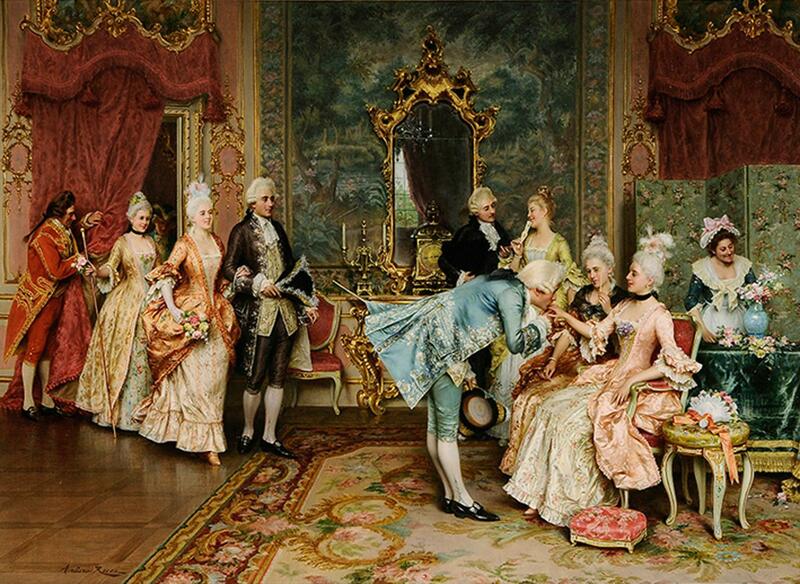 I’d be interested in joining “Historical Hussies”, if you can send me an invitation by email. Yes, Fiona – will do. Anyhow, I wanted to let you know that I loved them all, especially MC and SD. Thanks for taking the time to share them with us! Thank you, Sana. I’m so glad you’ve enjoyed my books and particularly pleased that your favourites were Marigold and Defiance. There is, of course, a great deal more history in them than in the Rockliffe series. I am currently listening to the audio version of Hazard – it only arrived with me this morning, so it will be with me for some days yet before being sent to Audible for release. That also can take up to a fortnight. But … soon. Hi Stella I have only just discovered your Rockcliffe series. A friend bought The Parfit Knight as a treat because I have been off work with a broken wrist. I loved it so much, so immediately bought the other four. Please say you will write a sixth sometime in the future. I have the original 1983 version of The Marigold Chain. A comfort read!! Rock Six is under way, Shelagh, though it will be a while yet. I’m so glad you’ve enjoyed the series. As for Marigold, it has recently been released as an audio, narrated by brilliant Alex Wyndham. Even if audios aren’t your thing, pop over to Audible and listen to the sample. Have just binge read your Roundhead and Cavalier series. Love the spirit of freedom running through your novels. the mangerialism now ruling academia. I like how you strive to get your characters to tell in each what is happening politically, and give us, your readers, the historical background in ways integrated into the plot. I’d like to join your Facebook group. Thank you, Vanessa. I’m glad you enjoyed the R&C books and particularly pleased that you liked my technique for imparting facts and events that might otherwise have been difficult to include. If you could spare a few minutes to review – any or all and however briefly – it would be greatly appreciated. Stella’s Historical Hussies (about 22 strong at present) are a lively and friendly group. They are all readers I’ve ‘known’ for some time through FB and their reviews and they are now getting to know each other – which is the point of the group. If you’re on FB, I can invite you directly from SHH – just need to know what name to put in. If not, I can do it be e-mail. Let me know which suits. I’ve done it be e-mail, Vanessa. You don’t appear to have been using FB very recently! Hello Stella, just ordered my print copy of ‘Hazard’, I do enjoy a good book in the old fashioned form! Many thanks shall look forward to re-reading it again. Glad you’ve got your print edition, Kate. It’s been touch-and-go these last few days – Amazon blaming Createspace and vice versa as to why it was so difficult for readers to find. Fortunately, after my extremely firm e-mails of first thing this morning, somebody got their act together! Thanks for the invite to the Hussies, Stella. And Margo Winchester is my online persona. There’s only one problem – when are you going to have time to write? And is Terry who I think he is? I went to put the cygnets, Full Page, Facebook disappeared and all I had was the hysterical laughter. I did get it column version, but then the whole PC crashed! Dangerous. I love your graphics for the group. Oh, and the latest cover for ‘Parfit Knight’ – are you going to do the whole series? I couldn’t find you on FB as Margo Winchester so I sent you an invitation by e-mail. I haven’t been on SHH yet this morning but I’m hoping you got it. Terry is the cygnet on the right – hope it wasn’t that which crashed your PC. It shouldn’t have been – it’s a U Tube clip and has done the rounds before. As for the Rockliffe covers – yes, Anna is doing them all but because Hazard was due out so soon, we started with that one, then began again at the beginning. Anna is currently working on The Mesalliance. Do you like them so far? She also did the covers for A Splendid Defiance (which won cover of the month in a BRAG affiliated competition in January) and The Marigold Chain. As for time to write … ahem. There are 2 of us in Dunedin as well, though since Margo (2) has married she is now Margo Reid. But as I adopted the name early 1960’s, and so pre-date my cousin, I’m keeping it! And I really like the new “PK” cover; I will be interested to see what she achieves with “Mesalliance”. Rockliffe and The Trojan? Two gorgeous males! Just an idea. Well, no matter how the invite came through, you got it. They are a nice bunch and, though I’ve only ever met two of them, I know most of the others pretty well through FB and the face that they read and review. It’s also an interesting mix. 2 Americans, 1 Canadian, 1 New Zealander (you! ), 1 Green and 1 Hungarian … as well as folk dotted all over the UK. Re The Mesalliance cover, getting an image that looks anything like a specific character – particularly Rockliffe – is a non-starter. It can’t be done and is a stupid thing to try because what words for one person won’t work for another. So we’re going down a different path and I’m happy with it. Glad you like the PK cover, though. And Hazard? So far I’ve liked all her covers. and it was just an idea ( I love black horses). I glanced through Carol Cork’s page – absolutely beautiful photography. I’ll have to include some of my scenery on my page, though can’t compete with some of the architecture. Are the backdrops behind Terry, Mediterranean? The SHH’s is a great group – many met on your other sites, through Comments – nice to put a face to them. My child and pony was a snapshot at a show – just a reminder for acquaintances I met when I was doing equestrian photography years ago. Bye for now, and thanks again. Without going back to look, I imagine the scenery behind Terry is the bay of Kas in southern Turkey. We rent a villa overlooking that view every year. Meanwhile, I’ll look forward to seeing some of your photos. I will read whatever you write, usually withi a week of its publication date! I’m always happy to return to the Rockliffe universe, so I’m glad to hear you are thinking of at least one more. I know Amberley and Rosalind have had their HEA, but I would so love for them to get to be active secondary characters in another novel. I miss them! It’s very early days for Rock Six and I have several new characters to establish before getting the ‘old gang’ back together. But Amberley and Rosalind are on my radar – as much as anything because I’m a bit of a Round Robin nut. Further to previous, I now have a closed FB group if you’re interested, Margali – Stella’s Historical Hussies. Apply to join if you feel inclined. Thank you, I would love to join. Best way is to send an invite to my email address. Thank you so much! So glad you are continuing to write! I tore my way through Hazard in 2 days, and am considering a reread of all the R & C books next month. I am one of your readers who dearly loves both the R&C books and the Rockliffe series both. The Parfit Knight remains my favorite of all, and Amberley my favorite hero. (Though, since I read the book in its original hardback form, he will always and forever be Denzil to me!). I’ve been sharing my Goodreads reviews through Facebook, so hope to introduce some of my friends to your work. Thanks again for all the reading joy you bring me and all your other fans! Thanks, Margali – glad you’re still enjoying Rock & Co and thanks for writing (and sharing) reviews. I tend not to see comments on Goodreads as I rarely go there but I’ll make an effort in your case. First, let me say I loved “Hazard” – it gave me a very happy couple of hours, and I look forward to your next book. Third, have you read “Treason’s Daughter” and “The Tyrant’s Shadow” by Antonia Senior? If not, I recommend them, particularly “The Tyrant’s Shadow”, which I raced through. Back to the reviews. I am a bookseller, so I talk to people about books and recommend titles. Sometimes people agree with my recommendations, but not always. It seems to me that the negative reviews are very much in the minority, so whilst I understand that it is baffling and upsetting, it is just an opinion. Finally, I too would like to read Giles Beckwith’s story! Thanks for the recommendation to Antonia Shaw who I haven’t previously come across but now check out. I’ve been chatting with various folk about setting up a FB closed group for readers and there has been some debate about what to call it. I don’t know if this would interest you, Fiona. But since I’m aware that some site-visitors read new comments as they appear, I’ll take this opportunity to say that we have 2 front-runners. Stella’s Merry Minxes and Cavaliers & Courtesans. Votes, please! I have loved all your books but A Splendid Defiance is up there with best. Read and reread too many times! Separately Rockcliffe is as beguiling a character as Avon in Georgette Heyer’s These Old Shades. More of him please. I am happy to read that you might return to Giles Beckworth. his poignantdeparture made me cry. Thank you for giving me so much pleasure in reading your books and keep on writing. p.s. please note that there were quite a few typo errors in Hazard. Thank you for your comments re my books and I’m glad you have been enjoying them. With regard to your comment about Hazard, perhaps you could specify? No other reader has raised this issue. Blimey! Re the type set errors. There are too many instances of a “to” missed out. A better proof reader should have picked them out. It’s commonple in kindle books and I mind only because because I know your writing to be meticulous. I am lucky to have a few of the originals in hardback and the same books are very poorly proof read in the kindle edition. The same is true of the divine Heyer. I downloaded her The Grand Sophie and could not believe the errors and omissions in the script of an author revered for the purity of her language. You too write wonderfully well and I mind that kindle type errors mar your books. I’ll post proof read for no charge at all! Thanks, Ranji but, following your comment, I set two people to re-read Hazard and hope that we’ve now picked up all the errors. (Not at all sure how they crept in through!) Alex is due to start recording next week so the revised script has to be with him by close of play tomorrow. However, I do thank you for your offer – much appreciated. 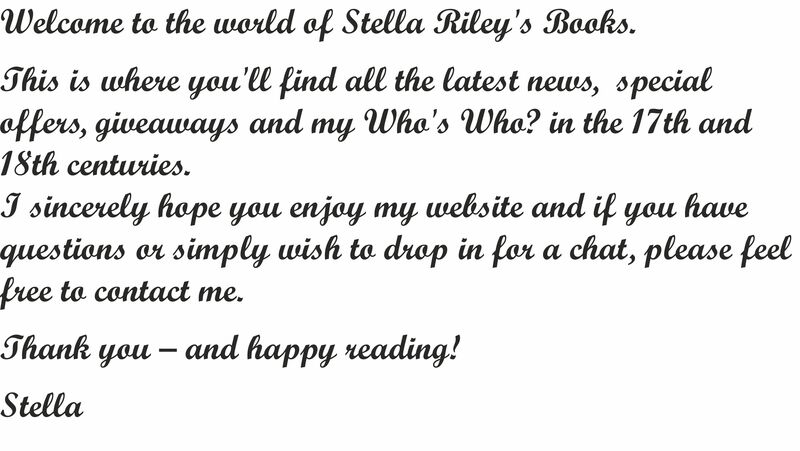 Stella Riley, my thanks is not nearly enough to express the pleasure I receive listening to your books. The ‘Parfit Knight ‘ was my introduction to your outstanding talent as an authoress. Thanks again for this website, for choosing audible, and Mr. Wyndham as your narrator. You are young as I am 4yrs your senior, and your adept skill translating a long past era through history and romance is amazing. I just had to let you know I will not get enough of your novels, and I look forward to a future that will include as many as possible. Thank you for your comments, Florence – so glad you are enjoying Rock & Co and lovely Alex’s incredible talent. If you don’t already do so, might you consider reviewing, perhaps? Every one counts – no matter how brief! Thank you so much for reviewing, Jill – obviously I’m delighted that you enjoyed Hazard and pleased that it is doing so well in its first week – at least, in the UK. The positive reviews encourage me to carry on. They also make it possible to shrug off the negative ones -and in the last few months, I seem to have attracted a troll or two. As for the future … some folk seem to feel that Rock & Co have run their course; others are asking for one more. What do you think? Please do not worry about the trolls – there will always be negative people who just like to pick holes in everything. Take heart from the positive reviews and the majority of your correspondents on this site who seem to speak with one voice – of love and approval. While the R&C novels are my very favourites of your books (I think there is a lot of hero potential in Toby and in Jude?? ), I do love the Rockliffe stories too and would always be happy to read more. There are a few questions as yet unanswered: Does Rock get his male heir? What is Bertrand’s back story? Do Philip and Isabel manage to have their own child? Is there any redemption for Diana Franklin once she has grown up a bit? What kind of person does Olivia DeLa Haye become? These are just my idle musings – please ignore as you see fit but the loose ends could be rounded up in one more story, possibly set a couple of years later than “Hazard”. In any case, you may well want a much-deserved rest for a while!! Just a quick question: will “Hazard” be out in paperback soon? Love my Kindle but can’t beat a physical book. Thanks. I should never have mentioned negative reviews. I’ve collected one today for Madonna which has baffled me completely. However, with regard to Toby and a final R&C novel taking us to the Restoration – I would hope to do that eventually. I’d also like to write – less a sequel than a companion novel – to The Marigold Chain; I think of it as The Giles Beckwith Story. But I think one last Rockliffe book first, while I’m still in that particular zone. The print edition of Hazard will be out fairly soon – a slight delay was caused by my forgetting to insert the credit to the cover designer. But I’ve already seen a proof and, though I probably shouldn’t say so, it looks wonderful. You’ll know when it’s out, Jill – I’ll be announcing it here on the website as soon as it’s available on Amazon. I really do hope you do a final R&C, I find the period immediately leading up to the Declaration absolutely fascinating particularly the changing of sides although very sorry about John Lambert and feel that I have many years invested in Felix/Toby so would like to know how he fares. With regard to typos, I find that if the story is engrossing enough they don’t tend to impede me but bad English does and I don’t particularly remember a huge number of typos in Hazard so I was obviously into the story. The problem with the most recent Heyer imprints, is that they were obviously scanned without any proof-reading at all and that is down to the publishers. I recently read a downloaded (from a college library) ‘When Gossips Meet’ (which is absolutely fascinating) but there were mistakes on nearly every line that were obviously not typos but due to there having been no clean up of the scan — it wasn’t just spelling mistakes but completely incorrect words, sometimes laughably incorrect words. It was so bad that I emailed the publishers who then wanted me to send them a marked up version. There were so many that I really don’t have the time at the moment. These things happen a lot with e-books and in most cases hardly worth mentioning. Hazard was proof-read again(by two others as well as myself) and re-loaded very quickly so should now be fine! As for another R&C – it’s on the cards but I don’t know when. Further to previous, I’ve now set up a closed readers group on FB – Stella’s Historical Hussies. I don’t like adding folk without their permission or in-putting e-mail addresses as FB suggests. So if you’re interested, Jill – please do apply to join. Love to have you there. Now that is a good title, Stella. (H H) Please add me to your list. I did send in a Hazard review but was requested to revise. As I’m an Amazon.com.au customer, it will hopefully appear (and has) on their site. But not on Amazon.com. Still, the Amazon.com.au site does include the Amazon reviews. I’m not sure how it happened, but your Stella Riley Books has popped up on my Facebook page, maybe as a result of my spreading out more on Mobile Android and it syncs with my PC’s (both running Google Chrome)? 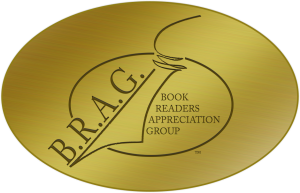 Because of Jill’s Comment and Goodreads’ March newsletter has popped into my Inbox, I had a look at their reviews – some repeats and some new and lots of 5 and 4 star ratings without review. It seems a lot of your readers are Goodreads people! There appear to be more errors than usual – mostly ?missing prepositions. May be Kindle – I haven’t hardback copies of the Rockliffe series – but if you’ve had the Kindle editions revised they should have updated? My K for PC is on ‘auto’ for that and I picked up several in the last couple of days when rechecking for my review. Re the Pantheon, sort of how I envisaged it – interesting about the Hagia Sophia inspiration, it was something I wondered about when reading Dorothy Dunnett’s “Pawn in Frankincense”. Re Rockliffe 6 – do Caroline’s half-sisters progress enough – I thought Sylvia in particular had possibilities – and I know Nicholas, in particular, disliked Mr Penhaligon, but he wasn’t completely beyond redemption? Bertrand needs someone – just so the others can get their own back! If you’re on FB, I can send you an invitation to SHH. I’ll try putting in Margo Winchester – if that’s wrong, you’ll have to let me know. I’ve had Hazard proof-read (yet again) and have re-loaded EVERYWHERE. This had to be done ASAP because Alex is due to start recording this week. Truth is, the exec producer at the audio company rushed me a bit to send the script and, once I’d done that, I didn’t re-proof because all copies have to agree. A lesson for next time! I’m not handing out clues about Rock Six just yet because it’s very early days (only 16,000 words so far) … but when I do, it will be on SHH so it will be nice if you can join us there. We have a really nice group – about 18 members so far – mostly ladies but including two gentlemen-hussies. I’ll send the invitation again through Hussies, Jill. Happy to have you join us!